Est. hatch date range: sometime April 15-17. Empty shell pieces indicates hatched chicks. 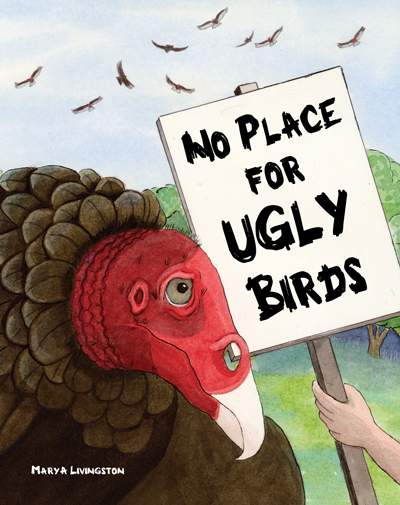 Save 15% on No Place for UGLY Birds! Happy Hatching discount code good through 4-22-13. 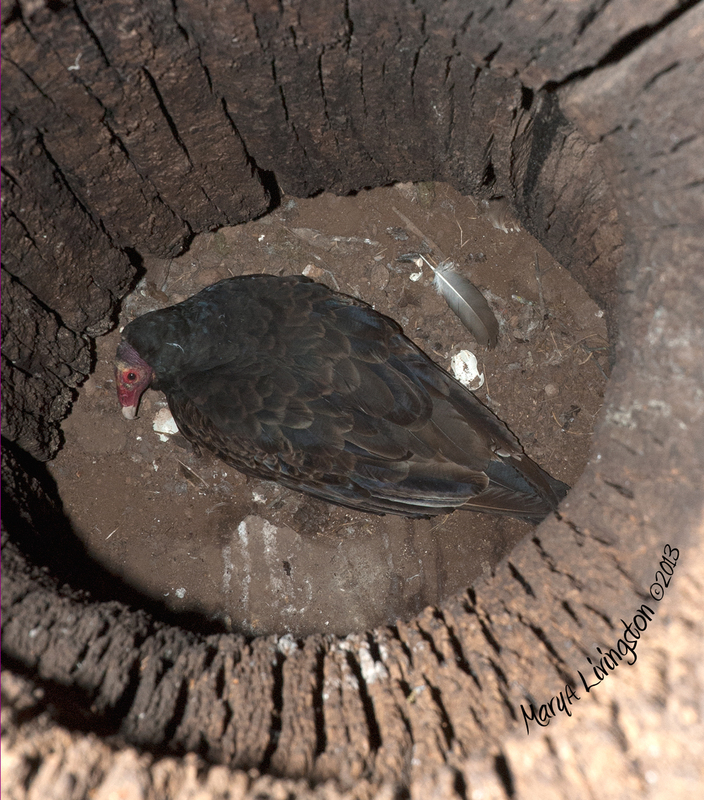 This entry was posted in My Backyard, Nature, Photography, Picture Books, Turkey Vultures, Uncategorized and tagged buzzards, chicks, hatch, nest, turkey vulture hatch by MaryALivingston. Bookmark the permalink. I never know what I will get in the frame. I take the camera off of auto focus, set the focus for 14 feet, set the flash, shutter and aperture manually, hold the camera over the opening and shoot. It is like old school paparazzi. Oh, just wait, we do have a treat in store – I hope. Check out the Ugly Birds Gather post, I used the GoPro Hero3, but it won’t shoot with detail something so small and far away. We would get mostly the sides of the tree cavity. Still using the GoPro for other things. See Ugly Birds Gather. Wow! This is totally exciting! I’ll bet you’d like to just be sitting out there all the time! If you have not read Mary’s latest installment of what is going on in our backyard, here it is. We have new arrivals! So glad the eggs hatched. More vultures circling in the sky. I’ve daydreamed of building a somewhat elevated platform, a turkey vulture feeder. I would toss road kill up there. Talk about ugly!